New Tories Home Secretary Sajid Javid announced himself to Parliament on Monday with promises of clearing up the Windrush Scandal at top speed - with a "pledge to urgently 'do right'"
That old 'a week is a short time in Politics' mantra? It's now three days. 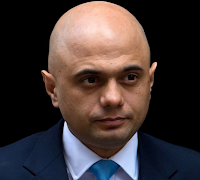 On Wednesday ... Javid led the charge against Labour's plan to enforce disclosure of relevant papers on Windrush migrants, and the immigration policy relating to people who came to the UK from Commonwealth countries. The 'disclosure' was not to be 'public', but solely for the purposes of the Home Affairs Committee ... who's job is to scrutinise MPs. Which they can't really do if documents are hidden or withheld. 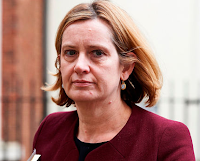 This is of course, the same Committee - led by Labour's Yvette Cooper - that tied the last Home Office encumbent Amber Rudd in knots, leading to her '' mis-statement'' ... which led to her resignation. Clearly Javid wants nothing passed to the Committee that might incriminate the *previous* Home Secretary ... who is now Prime Minister. Javid, it seems, has barely got his feet under the desk before reverting to type. Not quite the week he'd planned, is it?